Driving DUI in Los Angeles can result in a veritable smorgasbord of problems — legal, personal, financial and even emotional. These might include license suspension, forced installation of an interlock ignition device in your car, jail time, rising insurance costs, loss of employment (because you no longer have a car to drive to work), feelings of depression and doubt, legal and court fees, and so forth. 1. 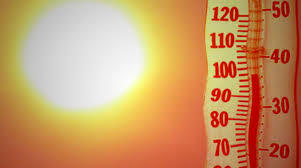 Commuting without air conditioning in the summer can drain your energy and put you at health risks. Traveling in an un-air-conditioned vehicle (or going by foot or by bicycle) can expose you to the elements, which can be quite uncomfortable on days when it crests 100 in the Valley and can put vulnerable individuals at risk for dehydration and heat stroke. 2. During the summer, more kids are out of school; thus, more party-going teens are driving on freeways and surface streets. Obviously, it’s dangerous to drive DUI. But it’s even *more* risky to do so when other drivers on the road are also engaging in wild behaviors or activities. For instance, it’s safer to be the only crazy car on a road full of defensive, sober, attentive drivers than it is to drive DUI on a road filled with kids on summer vacation who are on their phones and drinking and doing who else knows what else. 3. The long days of summer can trick you in thinking that you are not as tired as you actually are. In Los Angeles, the difference in the length of days between summer and winter is not as severe as it is in more northern latitudes. However, the lengthy days can lead us to feel alert when we are really actually pretty exhausted. If the sun is still beaming at us at 7:30 at night, we might subconsciously think “it’s day time,” even though our bodies are exhausted. Unrecognized fatigue can compound the dangers of DUI driving plus increase risk of things like accidents and bad judgment after a stop. Do you need help defending against a serious charge? Call a qualified Los Angeles DUI defense attorney with the Kraut Law Group immediately.